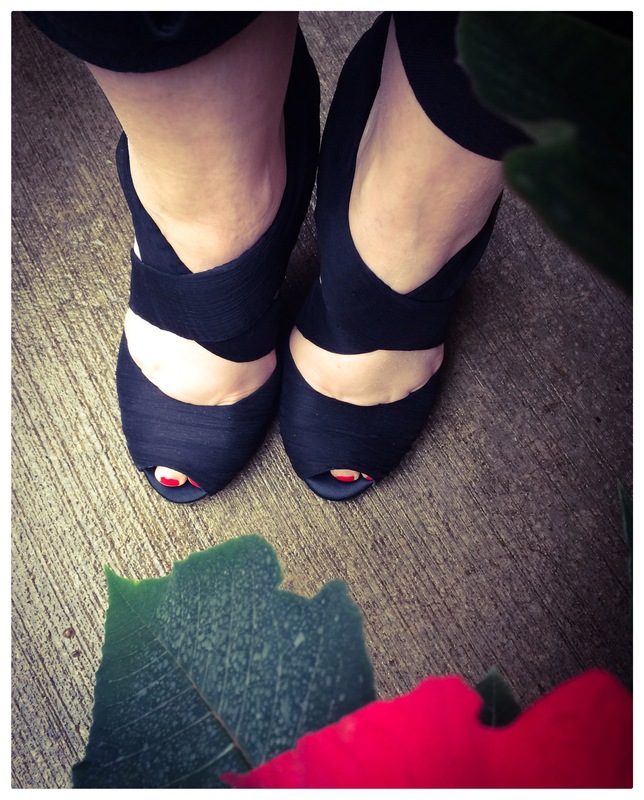 December | 2014 | Footwear Fashionista … a sneak peek into my shoe closet! ‘Tis the season of giving. I recently went through my shoe closet and gave a few pairs of shoes to my niece. She was absolutely obsessed with a particular pair – a rainboot by Isabel Toledo for Payless collection, circa 2010. 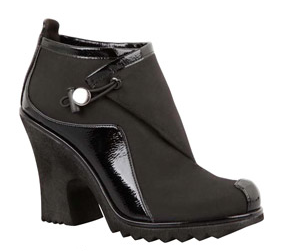 A graphic, chic and fun bootie featuring black nylon and faux patent trim. The front-fold fabric design secures with a bungee-cord strap, making for an adjustable fit. The funky zig-zag toothed platform sole continues to the chunky heel, which is finished in matte-black. 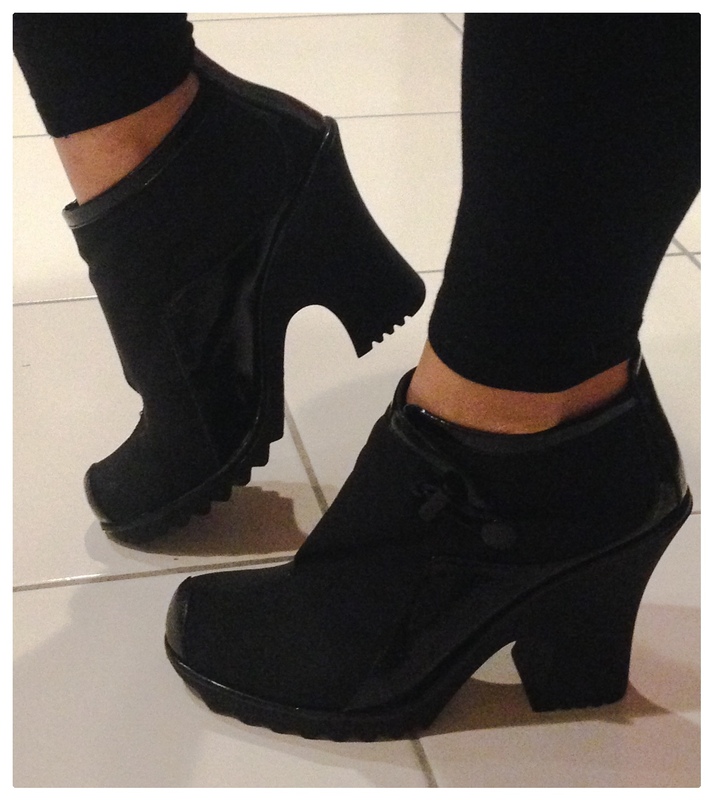 A practical bootie that makes a bold statement. It’s no wonder why my niece is obsessed with them. December is a month of endless parties, good cheer and plenty of alcohol to get you through. Intoxicating footwear is a must. 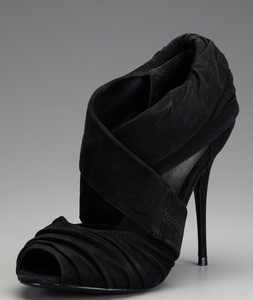 This sandal from Elizabeth and James, the “E-Leona” is all about elegance…a peep toe sandal with black chiffon covered crisscross leather straps and chiffon ruching on the back with a 4″ satin stiletto heel. Make a grand entrance and exit in these shoes…cheers!